The first step of rim repair is to clean the damaged wheels to expose all areas in need of attention. In most cases we remove the wheels from the vehicle for better access. The next step in alloy wheel repair is to smooth sand the repair area. The next step in alloy wheel repair is to machine sand the areas of damage. We then spray a ground coat, colour coats and final gloss coating. This step is optional and if the gutter rash is deep or wheel is badly chipped, we apply a putty filler compound to fill the damaged groove. If necessary we can use our heated spray booth to bake the wheel or use warm infrared light to heat the paint for a faster drying time. When repairing machined wheels which have fine CNC lines and a gloss coat on them, we fix the damage using various sanding techniques, after the damage is repaired we buff and polish your wheels to their original finish. This method requires no painting but the repaired area will be slightly noticeable compared to the rest of the wheels. When performing alloy wheel repair on painted wheels its important to be able to match the colour by eye. After the rim repair is complete we use this colour to blend the section for a great finish. If needed we can Change Wheel Colour for our customers. Shadow Chrome is a specialty colour which is very difficult to match. We can repair 95% of shadow chrome wheels to a near perfect matching finish. 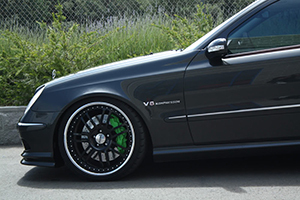 Alloy wheel repair services are perfect for somebody who has minor damage to their wheels but cannot justify buying a whole new set. 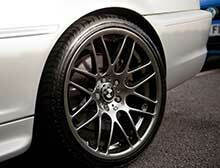 Wheel buddy can offer Rim Painting for your vehicle. Alternatively we can do the wheel painting by appointment , the only difference is weather conditions need to be correct for the work. There is nothing like looking at your favourite car, hot rod , muscle car, classic car wheel refurbishment . Wheel Buddy can ensure your car looks as clean as possible for a pre sale. Wheel Buddy - Wheel Repair Cost Wheel buddy can paint your wheels using a colour swatch and premium automotive paint. Wheel Buddy provides a not fixed until its fixed service which means that there is no payment required until the wheel has been fixed to standard. You can be sure that in the case of a colour not matching on a wheel repair we will continue to work with the wheel until we achieve the required result. Peace of mind for you and thats our wheel repair guarantee. Mixing paint for wheel repair is a process which involves colour matching the paint using a da beer colour wheel. We use this wheel to get the exact colour of your wheels before the wheel repair begins. We mix this colour using an onboard colour paint system for wheel repair. This system contains enough tints and colours to mix any colour on the planet. We then repair the wheels and spray the repaired area and in some cases the entire wheel with the colour matched colour. We use 2 pack paint for the colour and bake it on using an infa red lamp which cures the paint.